From Dr. Evil: “Re: EviCore. The specialty benefits manager is considering a sale or IPO, valuing itself at $4 billion. It pays to build a business around denying care.” The company describes its services as “comprehensive care management solutions,” although the emphasis seems to be on reducing cost via evidence-based solutions. It’s a good approach, although it fails to address out-of-control provider, drug, and device costs and instead focuses on restricting what is ordered. It’s an often-missed point that all of the political wrangling over health insurance would be much less necessary if costs were made reasonable, an even more daunting and therefore unlikely legislative accomplishment since the folks making fortunes on the backs of sick people also employ lobbyists. I received these unverified reader comments when I asked for first-person experience with Epic’s App Orchard. I have worked extensively with Epic Corp over the past two years with their iterations of the App Orchard. The rules of the road require that an app developer permit Epic to take whatever IP they choose, if Epic believes it makes sense to include in future releases of Epic software. Epic will reject apps that directly compete with Epic functionality, as determined by Epic’s current and future roadmap. Further, the 30 percent fee they charge is too broad in scope for the app revenue (if there is any). Most importantly, originally, only Epic clients could submit apps to the Orchard, effectively locking out the global collective genius of non-Epic entrepreneurs (I am not sure if such a restriction remains). Based on the approach to their App Orchard, Epic seems to be trying to respond to the market demand for "open" as heavily advertised by Cerner as their competitive differentiator. However, Epic also seems to want to control the Epic app environment and has absolutely no motivation to loosen their model to the wild, as Judy mentioned several times that such a move would be the end of Epic. 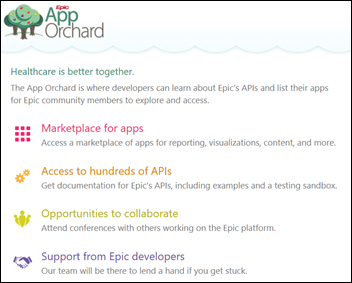 We have started working with Epic to build out an API integration under the App Orchard. For us, the biggest concern are the revenue sharing terms. For a software vendor that is operating under tight margins in a competitive market, having to factor in up to a 25 percent gross revenue share is an impossible burden. From our perspective, the App Orchard is a blatant money grab from companies trying to innovate on the edges of the Epic ecosystem. Welcome to new HIStalk Platinum Sponsor Softek Solutions. 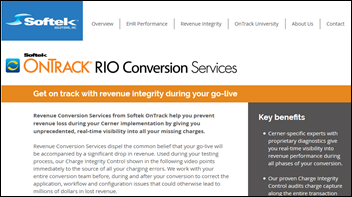 The Prairie Village, KS-based company’s OnTrack software and consulting services optimize revenue integrity and system performance for Cerner Millennium hospitals (and those preparing to move to Millennium). Its Charge Integrity Control provides visibility into revenue management by correlating patient orders and charges throughout the transaction process –one customer found a lab charge error that lost them $3 million in appropriate billing over four months before they found it instantly with Charge Integrity Control. Revenue Conversion Services allows correction of application, workflow, and configuration problems that otherwise would cause millions of dollars in lost revenue right after a Cerner go-live — a single hospital called Softek three months after go-live and avoided $20 million in annualized lost charges due to orders that weren’t charging, a location-specific workflow problem with ordering, and ED batch charges that weren’t actually charging. The company also provides Millennium system performance optimization software and services as well as conversion and purge maintenance assistance using proprietary diagnostics. Thanks to Softek Solutions for supporting HIStalk. I finally pulled the trigger on replacing of my years-old, $300 laptop that I use for everything. 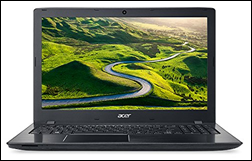 I chose an Acer Aspire E15, which has pretty decent specs for $621: an AMD FX 9800p CPU with 2 MB L2 cache, 16 GB of DDR 4 SDRAM, a 128 GB solid state drive running Windows 10, a 1-terabyte hard drive for data, a 15.6-inch display powered by a Radeon R8 dual graphics video card with 2 GB of dedicated VRAM, and thankfully nearly zero pre-installed bloatware. I’ve had no problems so far getting it loaded up. Video visit provider Teladoc reports Q1 results: revenue up 60 percent, EPS –$0.30 vs. –$0.40, beating analyst expectations for both. Reed Liggin (Athenahealth) joins electronic prescribing system vendor EazyScripts as CEO. He was president and CEO of the small-hospital information system vendor RazorInsights that was acquired by Athenahealth in January 2015. 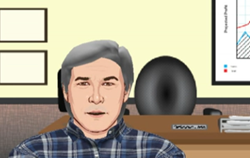 Telehealth solution provider Avizia hires Joe Quinn (ComScore) as CFO. Health Symmetric hires Bob Teague, MD (Quorum Health Resources) as chief medical officer. The company’s website uses a lot of vague gibberish in not saying exactly what it is they’re selling other than a “healthcare platform” that uses APIs. Intelligent Medical Objects is awarded a patent for its concept-based terminology management system that allows rapid distribution of terminology changes to the company’s EHR vendor partners. 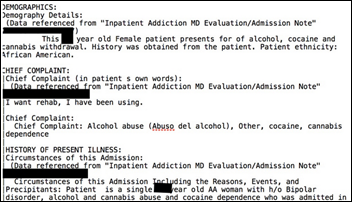 Clinician-entered terms are matched with appropriate billing and reference codes that capture clinical intent. Hybrid IT vendor TierPoint will expand its Hawthorne, NY data center campus for the third time, adding 38,000 square feet of raised floor to the existing facility that includes 52,000 square feet of raised floor plus a 70,000 square foot recovery and business continuity center. PeriGen releases PeriWatch, a perinatal analytics system that integrates WatchChild fetal monitoring with PeriCALM decision support and adds a maternal dashboard. 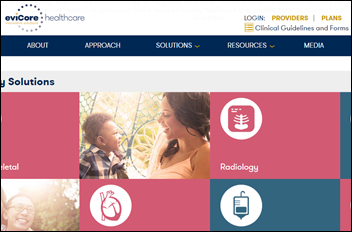 ­­­­­­­­­­­­­­­Penn Medicine Center for Health Care Innovation (PA wins ECRI Institute’s health device award for its app development platform that extracts clinical information from the EHR and other sources. In England, the Cambridge University Hospitals trust will decide this summer whether to outsource commodity IT services that include enterprise infrastructure, service desk, and end-user computing in a tender expected to total $180 million over seven years. 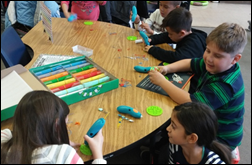 The trust says its increasing Epic use has created a need to expand its services. The White House appoints Gopal Khanna (Illinois Department of Innovation and Technology) as director of AHRQ. University of Illinois at Urbana-Champaign is working on a virtual physician agent that can describe lab test results to patients via a patient portal, targeting older adults with conversational speaking, context-appropriate facial features, and other body cues that can help with retention. St. Mary’s Hospital (NJ) celebrates Nursing Week by laying off seven nurses and 13 med techs. 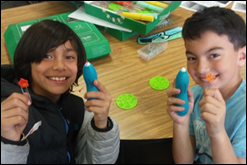 The local paper profiles Ability Network CEO Mark Pulido. Black Book identifies 10 top MACRA trends challenging providers with value-based care and quality metrics. Agfa Healthcare launches a new version of its Integrated Care Suite. Washingtonian names The Advisory Board Company CEO Robert Musslewhite as one of its biennial Tech Titans. Casenet announces its Connect 2017 speaker lineup, led by client executives from Cigna and Healthfirst. CoverMyMeds will exhibit at the American Academy of Ambulatory Care Nursing Annual Conference May 10-13 in New Orleans. the added benefits of the EMR upgrade. The Hartford Business Journal interviews Diameter Health CEO Eric Rosow. Health Professional Radio interviews Docent Health co-founder Paul Roscoe. My company has worked with both Epic and Athenahealth to try to get apps into their app stores (App Orchard and MDP Marketplace, respectively). The difference was night and day. As mentioned in the comments above, Epic requires extensive sharing of IP beyond what is necessary for integration. The process was vague and required us to constantly hound Epic to understand what was necessary. They did not seem to have thought through much of the basic structure of the app store, like billing and customer support for mutual customers. Eventually, we gave up – we do not have an app in the “orchard”, although we put a lot of development time into trying to respond to their feedback and make updates. Athena was much more responsive and had a clear process for onboarding apps. They could answer all our questions and have a team dedicated to getting apps up and running. They do take a pretty big cut of revenue, but other than that, the experience has been positive. Does mobile app development count as highly competitive and having tight margins? Apple takes a 30% cut for the iOS store. Is that also too broad in scope? 30% for a mobile app with somewhere between zero and low marginal cost is a lot, but apple provides true access, distribution and discovery for the apps built upon it. 30% for all of that is debatably reasonable. Epic/EHRs don’t actually represent true distribution or customer access. The product sold into the healthcare enterprise are most certainly not low marginal cost (for the most part). There is still going to be a lot of implementation, training, integration, sales and technical expenses realized on a per customer basis (SOC/HITRUST, dedicated AWS instances, extra redundancy, etc). You don’t see nearly the same overhead in most “app store” business. The difference is that the EHRs seem to want the entire transaction to go through them. So, for example, I can download a New York Times app for free from the Apple store and then link it to my subscription – Apple doesn’t then demand 30% of my subscription fee from the NYT and the freedom to republish any articles in the Times under a new iNews feature in the future. Apple gets their 30% cut from paid apps and uses the free apps as loss leaders. It’s understandable that the EHR companies don’t want to have to deal with a bunch of free apps that aren’t generating revenue since the app stores are less of a priority for them than for Apple. But it’s pretty obvious at this point that Epic, in particular, doesn’t actually want many apps in its “Orchard”, they just want to get the goodwill of saying they have one. It’s a great way to harvest IP and revenue from companies who they can bully into joining, and stymying everyone else – standard Epic playbook move. Katie and 30% already knocked it out of the park so I’ll add one more thing. In all of my years working for software vendors in different industries I’ve never seen anything like EMR vendors. Instead of innovating and coming up with new revenue streams based on their own solutions they seem to simply build better walls and charge more for access to their systems. It’s an embarrassment to technology that these companies are leading the market in their respective fields. Their own technology is terrible so they stymie innovation from other vendors to stay at the front. As I typed this out Atlas Shrugged by Ayn Rand came to mind. While I don’t completely agree with her philosophy, this is playing out exactly as the train routes did in that book. Must be a big RFP coming out or something. The fake news machine is starting up again. I wonder what could be driving all of this? Hmm….